Rhabdomyosarcoma of the mediastinum can occur in the following settings: de novo, in thymic germ cell tumor, or as a component of sarcomatoid thymic carcinoma. It is a highly aggressive tumor with usually poor outcome. 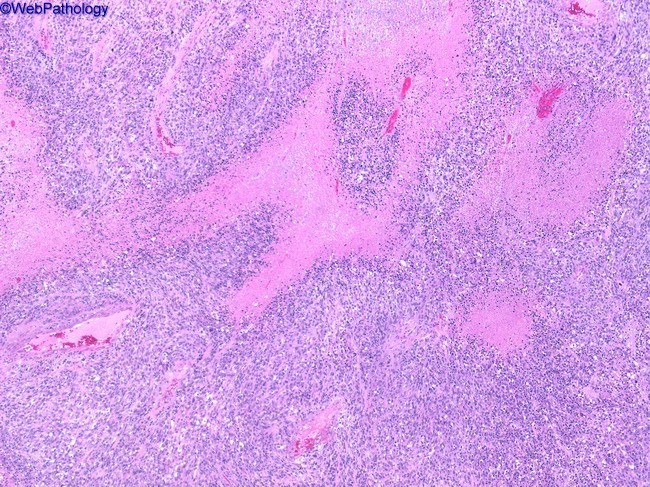 The image shows areas of geographic necrosis in an embryonal rhabdomyosarcoma.